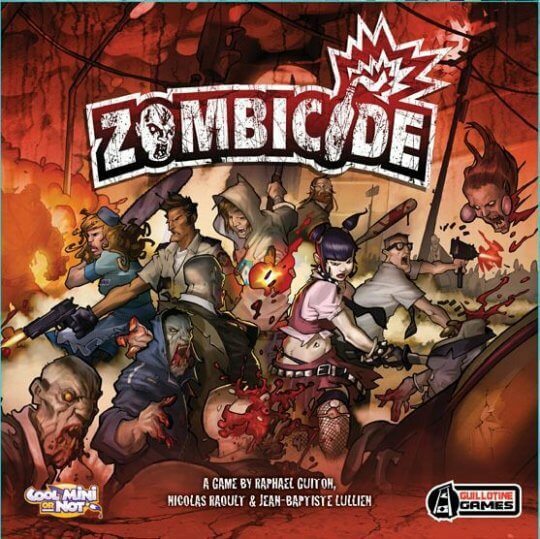 Zombicide is a collaborative game in which players take the role of a survivor – each with unique abilities – and harness both their skills and the power of teamwork against the hordes of unthinking undead! Zombies are predictable, stupid but deadly, controlled by simple rules and a deck of cards. Unfortunately for you, there are a LOT more zombies than you have bullets. Find weapons, kill zombies. The more zombies you kill, the more skilled you get; the more skilled you get, the more zombies appear. The only way out is zombicide! Play ten scenarios on different maps made from the included modular map tiles, download new scenarios from the designer’s website, or create your own! This is just a great game for zombie lovers!